With my weekly errands at the supermarket, one of the things I’ve chuck down in the shopping cart is sweet potatoes. Basically because I have not had them in a while and they were just 2 bucks per kilo! 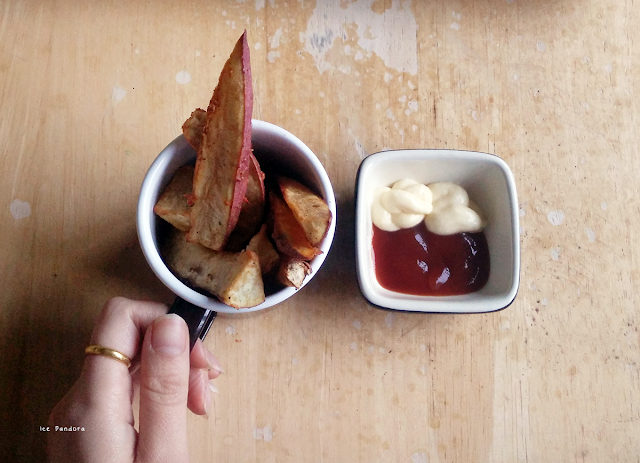 My dad likes to cook sweet potatoes with tapioca and I like to turn them into fries. 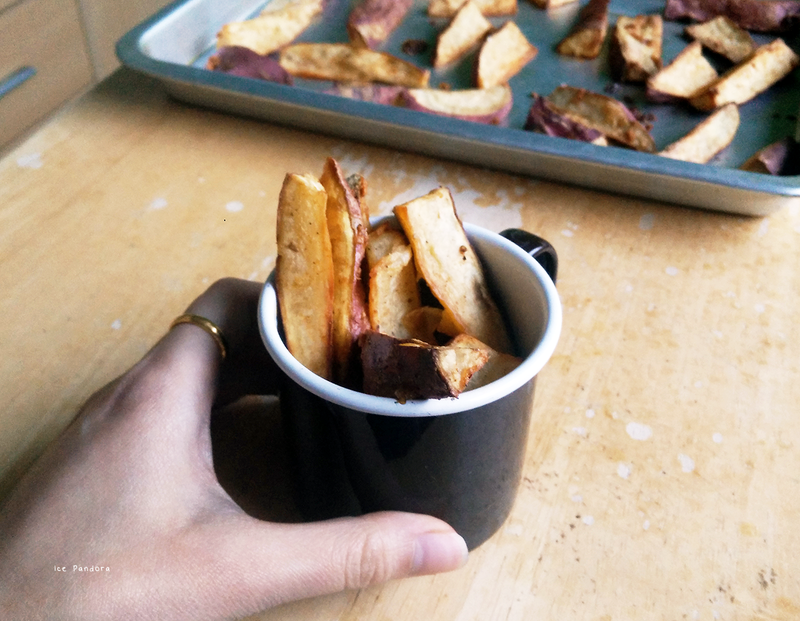 Healthy fries because mines are baked in the oven and that’s the recipe I want to share with you guys today! An easy side dish to make because you simple mix everything in a bowl and place them in the oven and you’re done! These baked sweet potatoes taste sweet, salty, flavoursome and spicy if you like to! I hope you try them out! In mijn wekelijkse boodschappen in de supermarkt, heb ik onder andere zoete aardappelen gekocht. Ze waren een koopje namelijk (€2 voor een kilo) en ik had trek in zoete aardappelen. Mijn papa bereidt zoete aardappelen graag met tapioca en ik verander ze graag in frietjes. Gezonde frietjes want het recept die ik deel vandaag zijn gebakken zoete aardappel frietjes uit de oven! Een vrij eenvoudig bijgerecht om te maken, want je mengt eigenlijk alles in een kom en leg ze dan in de oven en klaar is Kees! Deze gebakken zoete aardappelen smaken zoet, hartig en lekker kruidig. Probeer ze alstublieft uit! 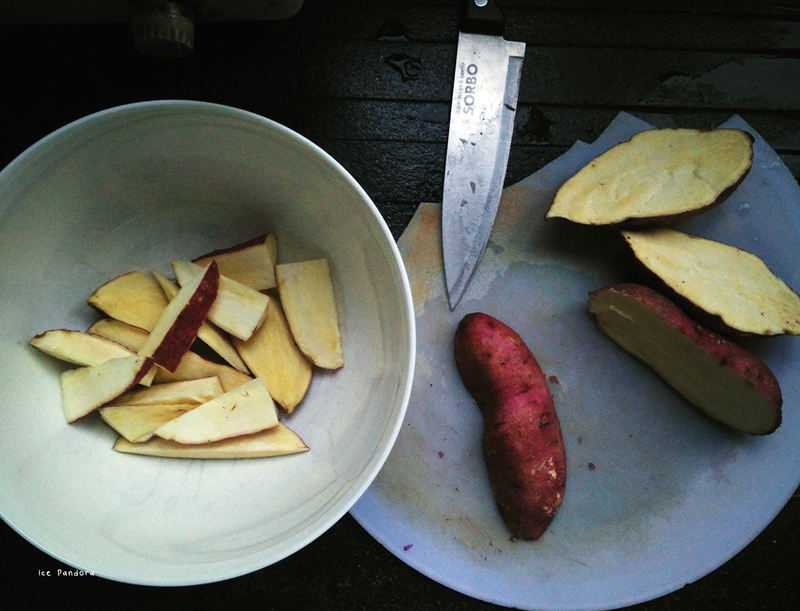 A tip: use a really sharp knife for easy cutting and chopping! 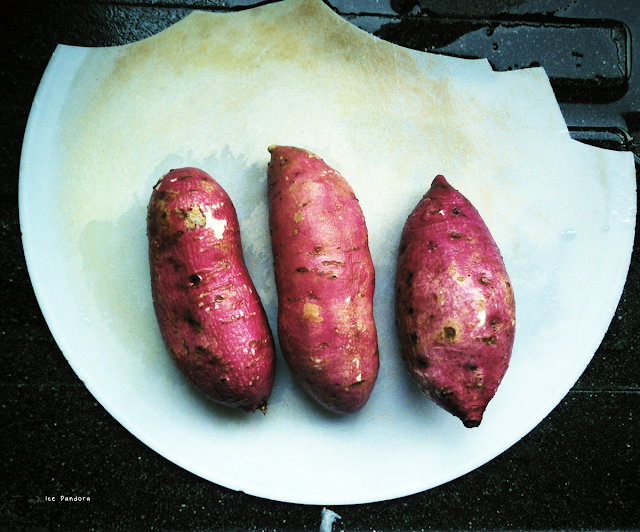 A sweet potato fact: a sweet potato is a root vegetable (yes a vegetable!) and is non-starchy one too unlike the potato. 1. Preheat oven to 200ºC. Wash the sweet potatoes thoroughly and scrub them well to remove any dirt. No need to peel the skin off! 2. 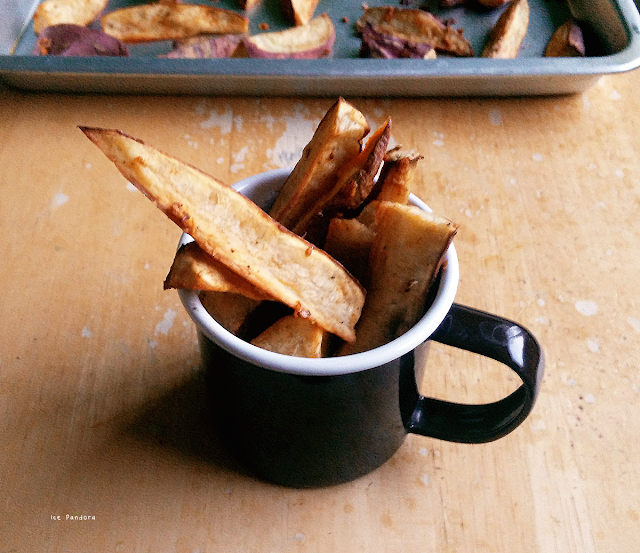 Chop the sweet potatoes in any desirable wedges and sieze and place them in a large bowl. 4. 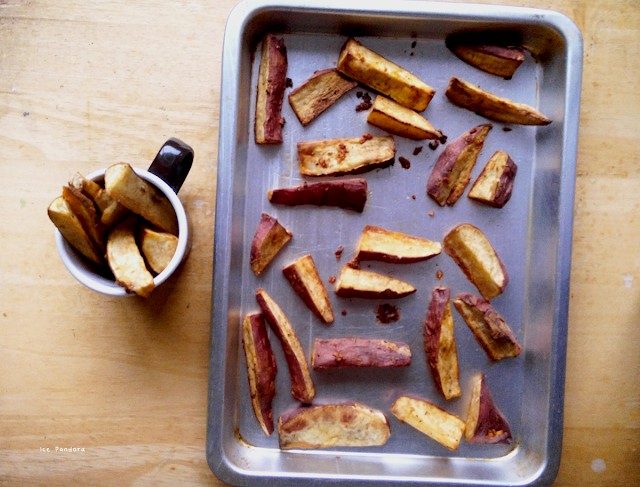 Spread the marinated sweet potato wedges on a baking tray and bake for about 40 min. Mmm sweet potato fries are one of my favorites! These look so good. Your Dad's Tapioca recipe sounds intriguing. Yum! 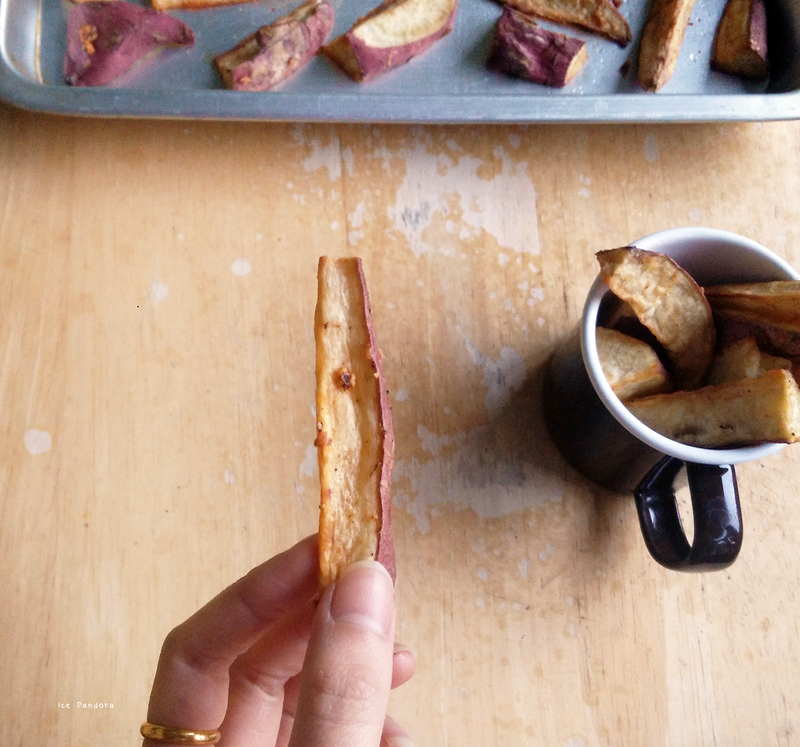 I love sweet potato fries but for some reason i've never tried making them at home. aaah yes!! looks so good! That looks so good and easy to make. I love sweet potatoes, will give this a try! Looks delicious and healthy! Simple to make, too!